I've always loved getting the bus or train and generally avoid bringing my car into the city. Not just because of the parking costs but also because of the hassle of heavy traffic and finding a parking space that doesn't require a lengthy walk. Even when we lived in our last house, which was further out of the city and didn't have a regular bus service, I would have driven to where the Metro buses to the city started, parked up the car and jumped on the bus! 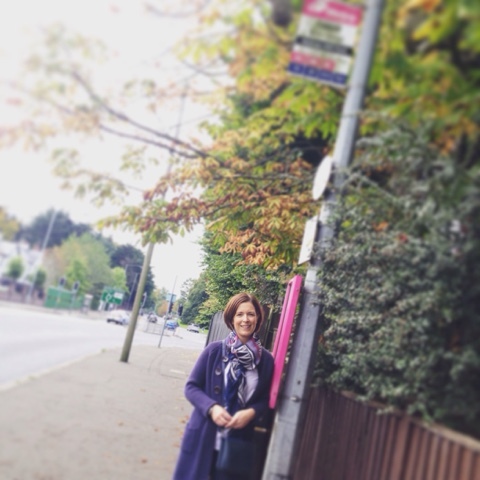 One of the drivers for us moving home late last year was to be on a Metro 'pink' bus route as my son was starting in big school and I wanted him to be fully independent getting to and from school. Having kids at different schools with different start and finish times, I knew I'd be up and down the road like a yoyo otherwise. But the move also meant that heading into town is so much easier for the whole family...so when Translink Metro invited me to take advantage of their #MetroSaturday offer during September and October, I was happy to oblige and decided to take the eldest with me for some quality mum & son time. The Saturday offer gives you unlimited bus travel from 9.30am for just £2 with a dayLink card or £2.50 with a Day Ticket (half price for kids). 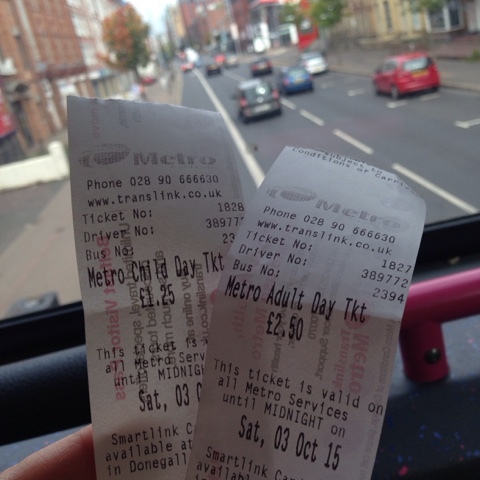 You can just head into town and back home or you can take multiple trips during the day - all on the same ticket. Our main reason for heading into town was because my son had lost his multi-journey bus pass earlier in the week. He tops up 40 journeys at a time on this card (meaning the trips only cost him 62p each) but luckily there were only 6 journeys left on the card when he lost it. Even at that, Translink were able to cancel the card over the phone and issue me with a voucher for the remaining journeys - a great service. Just remember to take a photo of the card when you buy it to ensure you have the card number if it goes missing (and apparently, they do so at an alarming rate!). So our first stop was the Belfast Welcome Centre to pick up a new card and load it up with journeys. 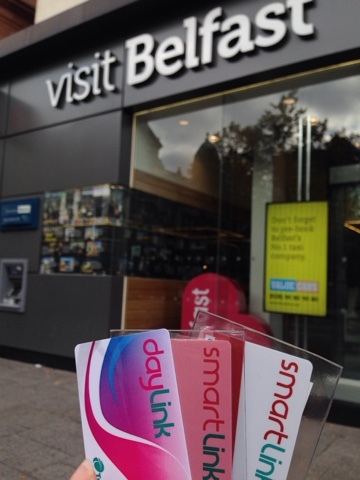 The good news is that unit the end of the month, there's no charge for travel cards (usually £1 for a new one) so while I was there, I picked up Smartlink adult card for myself and a dayLink card for the hubby who travels in less often than I do. 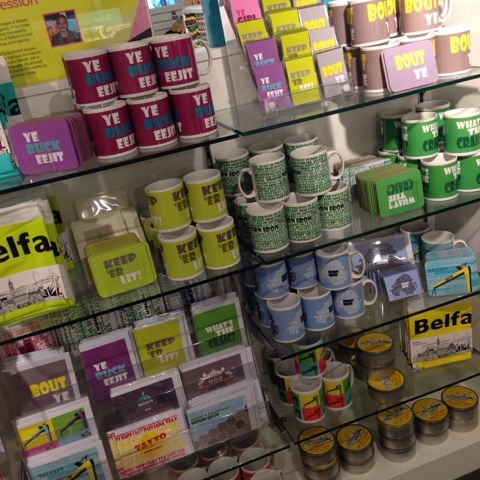 I'd forgotten there's a great shop in the Welcome Centre - lovely to see my friend Jeff's Belfast Times stuff taking pride of place (also available online). 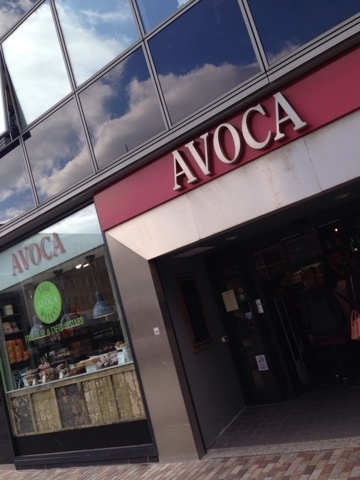 Then it was time for the shopping to commence - starting with FootLocker....he's trainer obsessed at the moment..
Avoca is one of my favourites in the city - it's just like an Aladin's cave...though my son wasn't as keen. 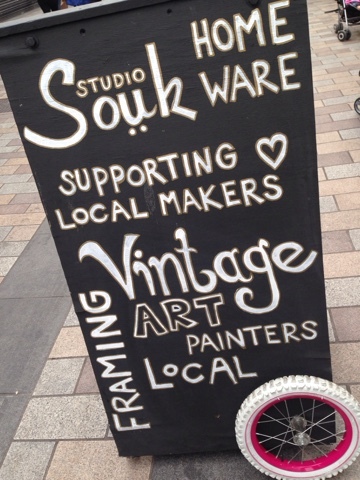 I'd been meaning to call into Studio Souk again as I've not been for a while and I found myself a real bargain here. 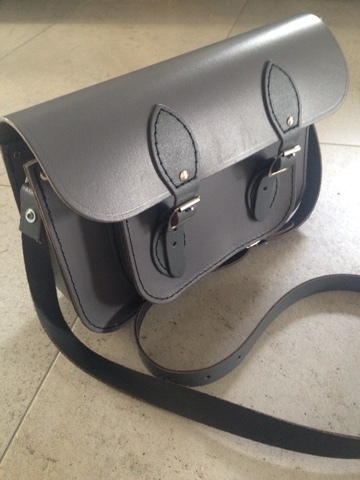 I'd been looking for a grey cross body for a while and saw these handmade satchels that are made in Belfast by Vintage Satchel Company. They're all at 50% off right now so this one was down to just over £40. I'd just been given £35 by Ruth who owns Deja Vu - where I'd consigned some of my clothes recently so I used this cash to break my recent spending ban. I'd say that's allowed? It only cost me £7.50 in actual money??! 4 hours on, we headed home, chatting the whole time and letting the bus driver take the pressure of the rush hour. It made me realise that it's so much easier to talk to my son when I'm not trying to concentrate on the road at the same time. It really was proper quality time together and if I'm being honest, that was the best bit of my Metro Saturday. Thanks Translink! Full details about Metro Saturdays can be found on this link. There's also 20% off food at Home restaurant every Saturday until the 17th October on presentation of a valid bus ticket. Yum. Disclaimer - I was provided with vouchers in return for writing this post - a huge help towards the cost of my son's daily travel. All words and pictures are my own. Thanks for supporting the brands that support this blog. Sounds like a perfect trip. Finding a parking space always stresses me out & I never seem to have the correct change for the meter either! 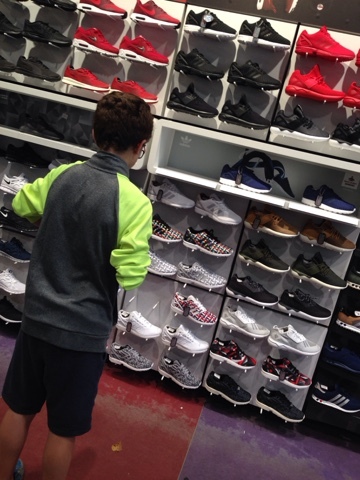 Teenagers footwear starts to cost a hell of a lot more doesn't it when they discover their love of trainers? !